Tünelmak is founded by Yıldırım Hydraulics which has been producing hydraulic cylinders and systems for the construction machinery, maritime, crane, steel-iron, and mining sectors for over 30 years. Tünelmak’s headquarters and production premises are located in Istanbul. 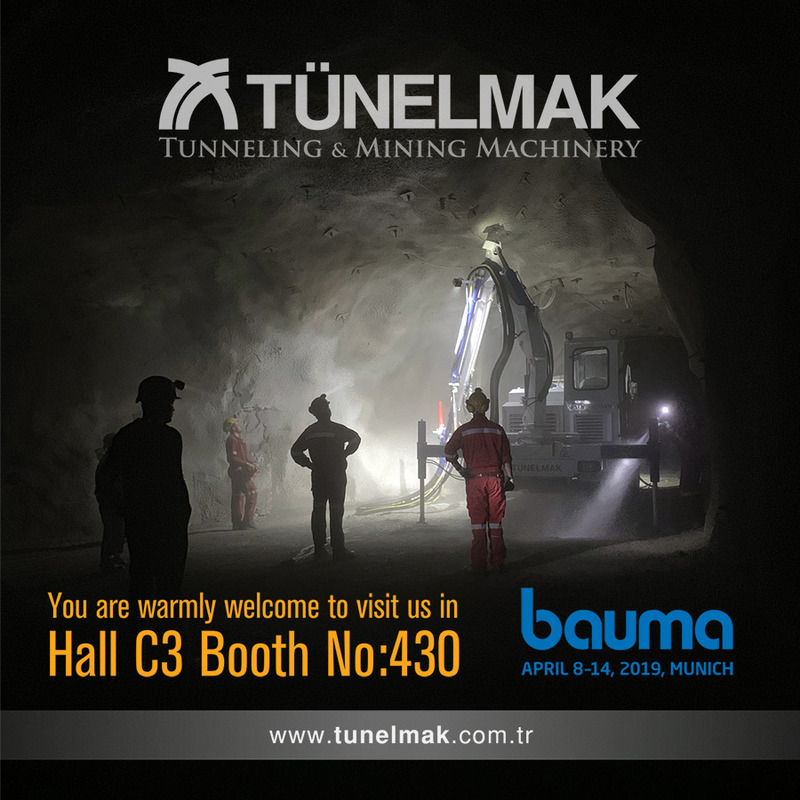 Product range of Tünelmak does include different types of tunneling and mining machinery, 4×4 and truck-mounted shotcrete pumps, 4×4 concrete mixers, underground load and personnel transport vehicles, 4×4 face drilling machines, 4×4 scaling rigs, 4×4 mini tunnel dampers as well as stationary and truck-mounted concrete pumps, concrete machines, and basket platforms. Tunelmak performs manufacturing in compliance with global norms and continues manufacturing process by carrying out necessary quality controls at each stage of manufacturing. Reserving a considerable budget for innovation each year, Tünelmak develops value added projects for the sector through comprehensive R&D activities.